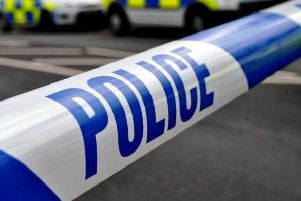 Police investigating the disappearance of a Sussex man have arrested a man and a woman on suspicion of conspiracy to murder. A 48-year-old man and a 28-year-old woman were arrested in Exeter, Devon, yesterday (Wednesday, February 10) and are currently in custody. They will be brought to Sussex for questioning. The last confirmed sighting of Karl Bunster, was in Mann Street, Hastings, on December 17. Police have been trying to find 37-year-old since his disappearance in December and have made enquiries in Kent, Devon and Scotland. Detectives from Surrey and Sussex Major Crime Team have now launched a murder investigation. Detective Chief Inspector Jason Taylor said: “We would like to hear from anyone who has any information that can help this investigation. “Karl’s family and friends are extremely concerned and I fear he has come to harm. Anyone with information should contact police by emailing 101@sussex.pnn.police.ukor ring 101 quoting Operation Redside. Or contact the independent charity Crimestoppers anonymously on 0800 555 111.